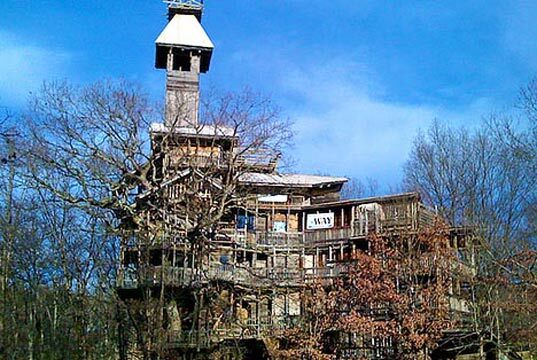 Though really they could have stopped at World's Tallest Treehouse and they'd have had my attention. Ten floors, all donated/recycled wood, super enormously awesome. Can I build one in our backyard, Dad? Well, we'd definitely have to submit a PIR for that!